The castle of Nové Město nad Metují is a part the town historical preserve and is located in the west corner of the square. It was built together with the town itself, originally as a gothic style fort. Historical resources say that the foundation stone of the town and the castle was laid on the 10th of August 1501 at 2 p.m. by Jan Černčický of Kácov, the owner of the estate. After the town fire in 1526, Jan Černčicky sold the estate to the Pernstejns, who were important and wealthy noble family of the time. Following the then modern Renaissance concepts, they began with renovations of their new residence and the town itself. The estate was then sold to Protestant noble family from Styria – the Stubenbergs. They completed the renaissance renovations of the town and the castle became a Renaissance chateau. After the Estates Rebellion of 1620, in which the Stubenbergs took the part of the anti-imperialist side, the Nové Město estate was confiscated by the emperor Ferdinand II. Albrecht of Valdstejn owned the estate for a short period of time, in 1624 it was bought by Trckas of Lipa. Again, in 1634, the estate was taken away when the then current owner Adam Erdman Trcka of Lipa and others were accused of anti-imperialist conspiracy and executed in 1634 in Cheb. The property and possessions were consequently given away by the Emperor as a reward for the assassination of the nobles. A Scottish noble, Walter of Leslie, a chief constable of Cheb at the time, later promoted to a field-marshal and a count of the empire, obtained the Nove Město estate. 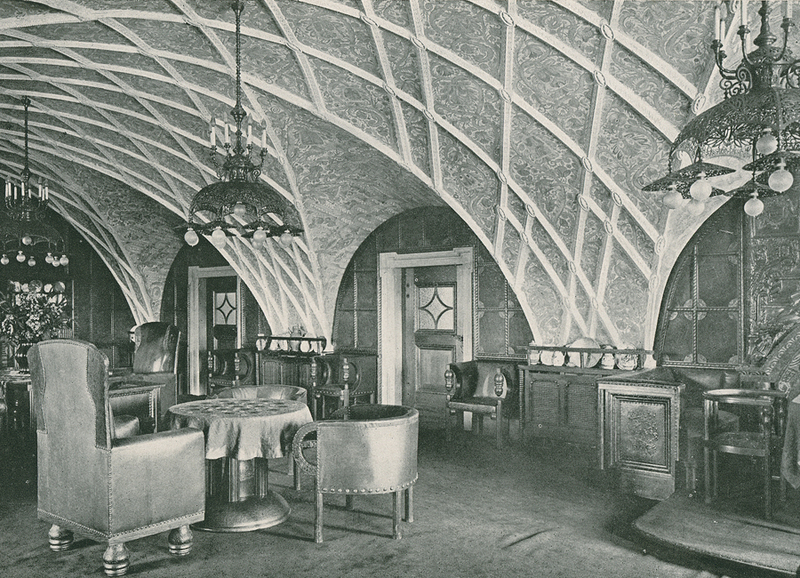 Under the reign of the House of Leslie, the Chateau received its most extensive renovations. The Baroque style structural changes and additions accomplished during this time remain to this day. The Chateau was widened by the addition of the ground floor arcade and the first and second floor halls. The second floor was richly embellished with stucco decorations and frescoes depicting tales from Greek and Roman mythology. In 1802, the last of Sir Walter´s family died and the Chateau was inherited by the family Ditrichstejn-Leslie. This family did not maintain the place and it remained mostly unoccupied which led to its dilapidation in 19th century. In 1908, the Chateau and its accompanying estate was purchased by the textile industrialist brothers Josef (the great-grandfather of the current owner) and Cyril Bartoň (great uncle) of nearby Nachod. Perhaps you wonder how much the castle cost over a hundred years ago. The Bartons bought it for 2,350,000 Austro-Hungarian krones. It may seem a little money but the currency was different and it had much greater value. Just for a better understanding, a Czech car of the Laurin & Klement make cost 3,600 K and 1 kilogram of bread was not worth more than a half the krone then. 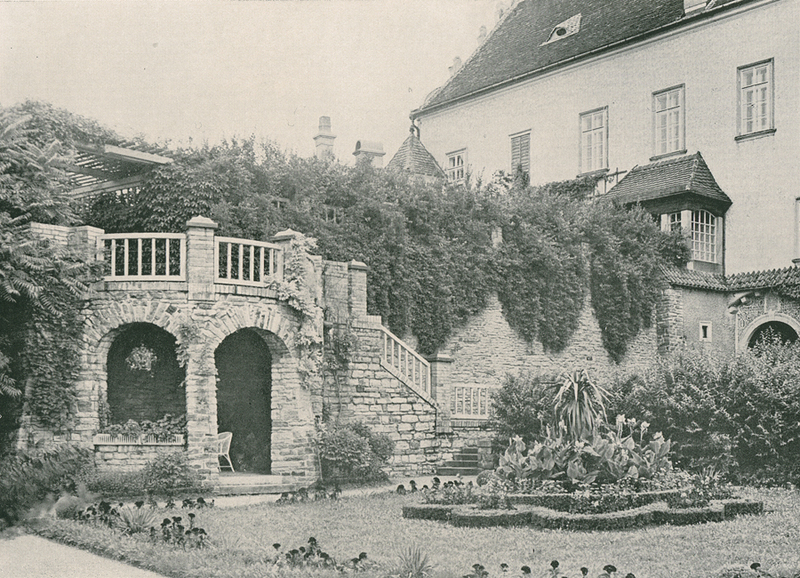 After purchasing the Nové Město Estate in 1908, the Bartons embarked on an extensive renovation of the Chateau. The entire project was placed in the hands of unique Czechoslovak architects - Dusan Jurkovic and Pavel Janak. The chateau turned into a modern residence decorated by renowned Czech craftsmen, designers and artists of the early 20th century. While incorporating the modern styles such as Art-Noveau, Art-Deco, Cubism and Functionalism, their prime objective was the preservation and restoration of all historical elements of the entire structure. On top of that, the castle was equipped with many technical conveniences, i.e. water piping, central heating, electricity, telephones and a home and a dumbwaiter elevators. Thanks to all this the Nove Mesto Castle is a prime example of an unique historical monument adaptation. The Bartons owned the place until 1948. It was then put under state control and managed by the Czech state until 1991. Josef Bartoň, great-great-grandfather of the current owner, was the best known and the most successful member of the family. He began his career as a home weaver and he worked his way up to become the owner of a textile factory and a mayor of Nachod. In 1912, for all his life′s work, he was elevated to the Knighthood as Barton of Dobenin along with the hereditary coat of arms. The crest shows symbols of the textile production – a spindle and shuttles. After the noble titles were outlawed the family started using the simplified version Bartoň-Dobenín. 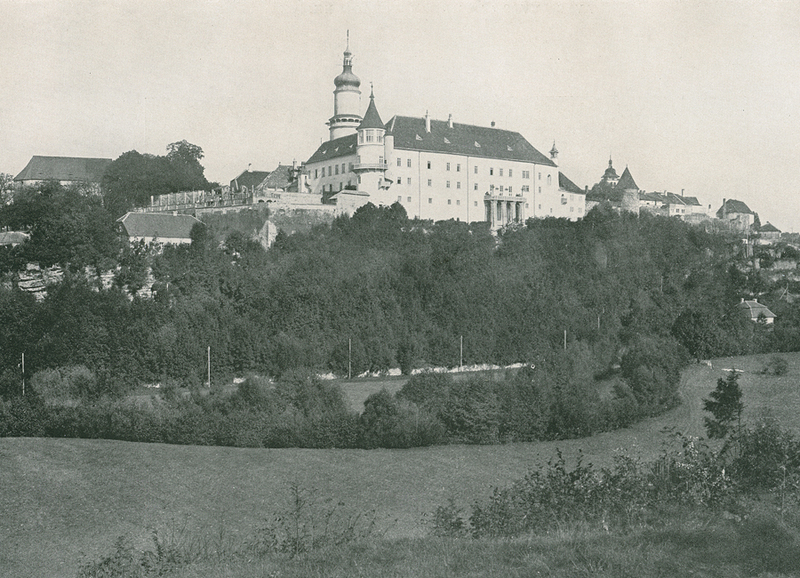 The family textile tradition was then carried on by two of Josef′s sons – Cyril Adolf and Josef Bohumil (the great-grandfather and great uncle of the current owner of the castle) Thanks to the factory′s prosperity, the two brothers could afford to purchase the castle in Nové Město nad Metují. Later, Cyril Adolf moved to his newly acquired castle in Zbraslav and Nové Město castle served as a residence for Josef Bohumil′s family. In 1905, Josef and Cyril built a modern spinning mill with 75,000 spindles at the cost of 5 million Austrian Kronen. At the time, this factory was the most modern one in Europe. The prospering factory was beneficial not only to the owners but to its employees and people living in Nachod and Nové Město nad Metuji. Josef Bartoň and later his sons financed many projects. In 1909, they built a district orphanage in Nachod (for about 200,000 Austrian Kronen). In the nearby Orlicke mountains they built a sanatorium for their employees´ children, in Nove Mesto nad Metuji they set up a home for the poor and ill. On top of that, they founded a charity for poor craftsmen and students and contributed towards the construction of Nové Město Sokol gymnasium and a trade school. In 1920´s, the family donated a valuable panelled picture of Madonna to a Union for the completion of St. Vitus Cathedral. Josef Bohumil, the owner of Nové Město castle, had a son called Václav, who studied law at Charles University and became the co-owner of the textile factory in Náchod in the late 1930´s. In 1937, he married Daniela Weirich, daughter of LL.D. Weirich of Trebon. In 1938, son Vaclav was born, and in 1942, son Josef wasborn who is, the father of the current owner of the castle. After 1948, the castle and the family estates were nationalized . Dr Vaclav Bartoň-Dobenín left the country in 1949 and was joined the following year in Germany by his wife and sons. Upon the reunion of the family, they emigrated to Canada. Dr. Vaclav´s parents lived out their lives in the castle under the state control. Josef Bartoň passed away in 1951 and Marie Bartoňová in 1957. In 1992, Josef Marian Bartoň-Dobenín, the younger son of Vaclav′s, restituted not only the castle but also the estates that used to belong to the family before 1948. In 2013, his son Joseph Michael Barton Dobenin, took over the family property and is the current owner of the castle as well as holding other posts in family business. Since 1992, the castle is the property of the Bartoň-Dobenín family once again and is open to the public for tours and events. In 2008, the area of Nové Město castle became listed as a National Monument of the Czech Republic. 2014-15 Copyright by Zámek Nové Město nad Metují. Developed by PINstudio, CMS by dkLAB. Fotografie: Jan Záliš www.janzalis.com nebo archiv zámku.